Ads for DN must be booked before 1.30 pm two working days before publication. Finished material must be submitted before 12.30 pm the last working day before publication. Cancellation deadline is two working days before publication at 1.30 pm. DN has an ICC profile that allows for the pink newsprint when converting to CMYK; DN_AVIS_ISO_11032012.icc. 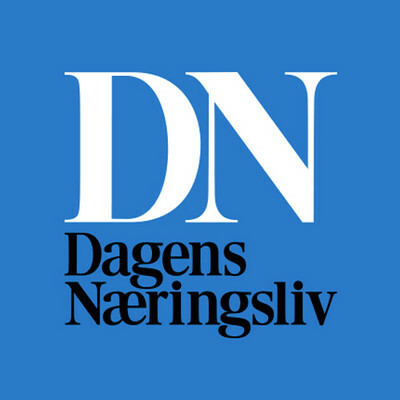 This is a profile that applies specifically to Dagens Næringsliv and is the profile that we recommend all of our customers to use. The international standard, ISOnewspaper26v4.icc, can also be used, but you must then make allowances for the pink newsprint. Greyscale/colour images: 170 DPI. Line art (bitmap): 600–1,200 DPI (in 100% size – applies to both image types). advertisements. Halftone screen: 34 lines per cm (85 LPI). General: Small/narrow text with serifs expands during the printing process and is difficult to read. Positive text: Recommended minimum size 8 pts. Negative text (also in colour): Recommended minimum size 12 pts. The newspaper is not responible for any errors, if not guidelines above are followed. at www.nada.no. This is a free service for delivering advertising material in PDF format to newspapers and magazines in Norway. NADAexpress also proofs your PDF file for errors before sending it to the various media.